The last chance for a registration discount is coming up on May 31! If you have submitted a registration but not made the payment, we need to receive it by May 31 to get the discount prices. It is also the deadline for making full payments if you have paid a deposit. Join dancers from 24 states and 7 countries (so far) coming together for an awesome dance experience! Lindy Hop is the main focus, although there are plenty of other class choices such as Balboa, Blues, Hip Hop, Jazz and specialty topics. That’s just the classes. Beantown is so much more! 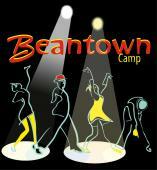 Campus Five, Gordon Webster, Glenn Crytzer, Competitions, Beantown Bounce (the instructors show), Norma Miller, Beantown’s Got Talent, Beantown Karaoke, 4th of July BBQ, Happy Hour, Soul Party, the Pub, the food, the beaches…good times! Now is the perfect time to plan your summer vacation of dance! Camp runs from June 28 to July 5 with multiple registration options. If you have always wanted to come to Beantown, this will be a phenomenal year to do so. If you’ve never done the full week, do it in 2012. There is just too much that you won’t want to miss! The website continues to be updated with the latest info. Check out all the details.